Before the Caliphate was completely destroyed, it was weakened considerably. There were two means of weakening it. First, the Caliphate was made to adopt parts of the capitalist economic system, and there was an adoption of the Mejalleh, codification of Hanafi law on the pattern of Western legal code, in 1878. Then there was the political revolution carried out by the Young Turks. The abolition of the Caliphate was made a consequence of the defeat of the Caliphate in World War I. At the same time, Muslim lands were colonized before World War 1. India had become a British Colony after the 1857 Mutiny, the Russian conquest of the Khanates of Central Asia had already taken place, and the Netherlands had made Indonesia their colony. It is worth noting that the three largest Muslim countries of today, Pakistan, Indonesia and Egypt, the first two had never been part of the Ottoman Caliphate, although India was governed by Islamic law under different Muslim rulers; the third had been hived off from the Caliphate because of the Suez Canal. It is not generally noticed, but the Muslims of the world under colonial rule had two problems, not one. It was not just a question of getting rid of foreign rule, but also returning to the fold of the Caliphate. One of the most crucial experiences was that of India, which had been under the British Crown since 1858, and even before that, the power of the Caliph had been compromised since the era of Mahmud Ghaznavi. The Muslims of India acknowledged the Ottoman Caliphate, and this provided the British another reason to destroy the Caliphate. For the Muslims of India, accepting the caliph in Istanbul did not, in the immediate future, mean rejecting British rule. Muslims were given employment by the Raj, both military and civil. However, in World War I, Indian troops were used to fight the Ottomans and to occupy Arab lands. This proved to have caused conflicts among the Muslims. It was thus that the British used troops from one phase of colonization to garrison a second. It should not be forgotten that, under the Sykes-Picot Agreement, the French and the British had divided the Arab lands of the Caliphate, and both used colonial troops, the British from India, the French from Senegal; thus both used Muslim troops. Yet it was this experience of occupation that made the Muslims of India aware of the contradiction. This was why, Maulana Muhammad Ali Jauhar distributed pamphlets among the Muslims in the Indian Army reminding them it was sinful to fight against the Caliphate. The disappearance of the Caliphate was momentous enough; that Muslim soldiers had to be used against it, created a delicate situation. The loyalty of the troops came into question, and once soldiers of any one faith began to ask why they were fighting, what was to prevent all soldiers asking? This might have been why M.K. Gandhi muscled in on the Khilafat Movement, not just his need to gain public attention on his return from South Africa. His argument was that Muslims were a part of the Indian nation, and so Hindus had to share their concerns if they wanted reciprocity. Thus he persuaded the Khilafat Movement leaders to opt for independence as well as fight for the preservation of the Caliphate. It is worth noting that the abolition of the Caliphate convulsed the Muslims of India as the cause of independence had not till that point. One result was that the Muslim League leaders had to take part in it. It also moved a lot of people to either get involved in politics for the first time, or increase their involvement. The Caliphate was abolished, and the Khilafat Movement lost its raison d’être. Those who wanted to stay in Indian politics had to choose whether they wanted independence for a united India, or a separate homeland for the Muslims. Either way led to independence as a democracy. The Caliphate option seemed closed. It seems clear that Britain, which was then the leading world power, wanted the abolition of the Caliphate, but not so that it would lead to a revival of any claims. It is within this context that one is obliged to view the fading away of the claim of Sharif Hussain of Mecca on the title of caliphate, who was fobbed off with Kingdoms outside the Arabian Peninsula for himself and his sons, of which only Jordan remains today. 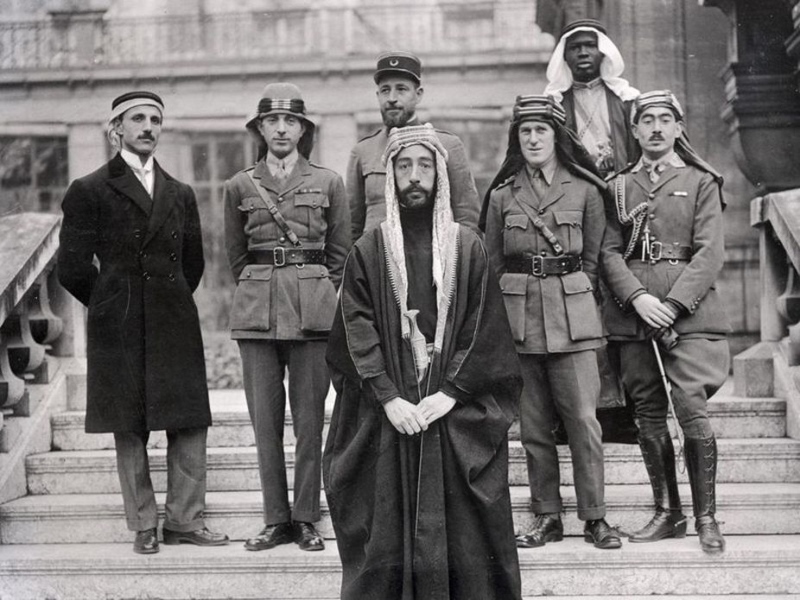 The British played a key role in ensuring that the Caliphate was abolished, and it is worth noting that, during its occupation, jointly with France, of Turkey after World War I, it worked to this end. It is interesting that the main Arab leader after abolition, who opted to become a king, was the King of Egypt, converting from the Ottoman-granted title of Khedive. The Saudi Abdul Aziz became King in the Peninsula, and Sharif Hussain also adopted the royal title. This showed how traitor Muslim rulers tried to solve the problem of being sovereigns without being Caliphs. The old arrangement of the Khilafah and the Sultan, which had its origin in the adoption of the latter title by over-powerful walis (provincial governor) was abandoned, and the concept of a sovereignty with geographical limits rather than extending over the whole world, was introduced, as was that of a sovereign who was one of several sovereigns, not the sole one in the entire world. However, independence has meant for all turning from a colony to a republic. British colonies may have had an intermediate stage of Dominion status, but in all the power was transferred to a local elite, which took the place of the former colonial masters. This was the experience of all colonies, not just Muslims, but it was by then too late. If the Caliphate had existed, there would have been a fresh pressure, before which no local elite could have stood, that of making the ex-colony join the Caliphate. It needs exploring why the colonialist powers ensured the abolition of the Caliphate soon before there was a wave of decolonization, which would free the Muslim world. It must also be remembered that the collapse of the Russian Empire opened up the prospect of the freedom of the Central Asian Republics. The Turkish links of the Caliphate had to be ended. Indeed, it would be best to abolish the Caliphate, and ensure that Central Asia remained a Russian colony. In fact, Central Asia did not regain even notional independence until the collapse of the USSR, and even now Soviet-era apparatchiks still rule. The purpose of obtaining independence, which was liberation, has not been achieved. Therefore, the next step can only be obtained by the restoration of the Caliphate upon the method of the Prophethood. It is not a coincidence that the Muslims all over the world still look to the Khilafah Rashida as an example of ideal rule, even if some have not been under Muslim rule for a long time, first being under colonialists and then under the local ruling elites they left behind.